Remember in Middle School, browsing through the endless rows of library books, trying to decide which one to read for your book report, judging a handful before picking the most promising one? Everyone has judged a book or two by their covers before, but now this principle is being applied to websites. As a society, we have adventured out of the library and onto the Internet to satisfy our informational needs. When searching for information or shopping for a product/service, many criticize the website layout and design. If a consumer is unable to navigate a business website, they may just move onto a different business’s page to get the needed information. It is as easy for someone to click the back button as it was to put the library book back on the shelf. 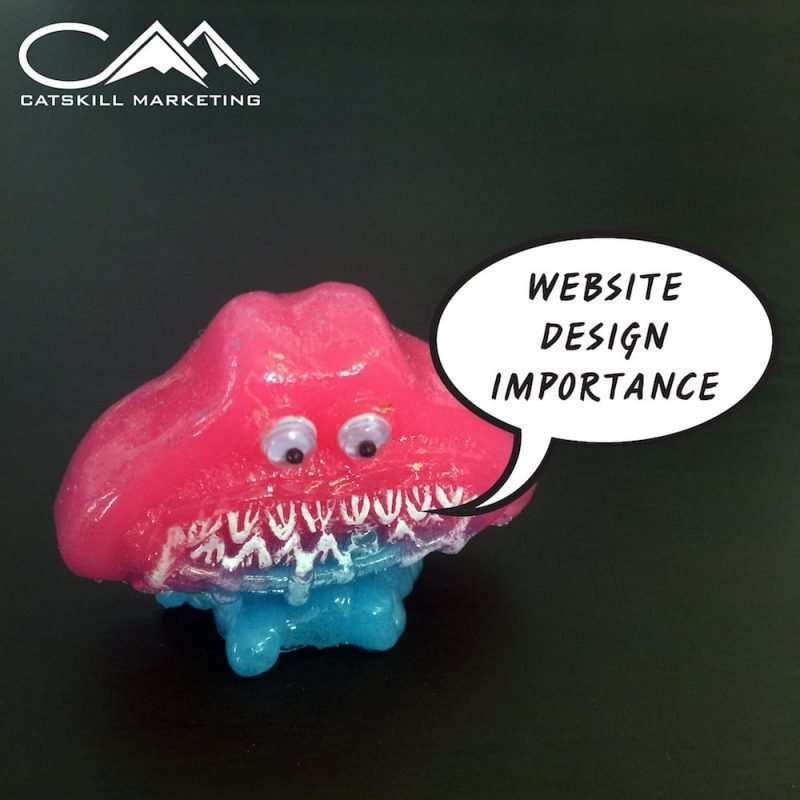 Catskill Marketing comprehends how to create an effective website and how website design greatly influences prospective consumers. Professionalism is key for a successful business website. It is vital to have a professional looking website when promoting a company’s product or service. Professional, clean, and customized websites stand apart from amateur, cookie-cutter website designs. First impressions are vital for potential consumers to gravitate towards a given business. A simple and clean webpage is sometimes best; minimal details lure customers into the business website to learn more information. Business websites must contain valuable information about the company to attract and inform consumers. Company details are vital to the search engine process, but a first impression still holds the greatest impact of business. When searching the Internet, potential clients and consumers want their ques with easy access to information. A simple website layout could be the deciding factor of making a sale or not with consumers. A professional looking and well maintained website will greatly benefit any business. Your company will stand out from the rest and be the leader with the best weekends. Also, the organization will earn the trust of the consumers with a professional website. A greater website recognition can equal greater profit and sales. Lastly, a professional website will earn second look when customers remember the presentation and professionalism of the organization’s page. Catskill Marketing can professionally design and manage websites for a variety of businesses across New York. One of our strong suits is collaborating with companies to design a customized website, reaching prospective customers. Our services stretch from photography and video to social media and website design. With Catskill Marketing’s resources, any professional ideas for a business website is possible. Catskill Marketing recognizes not only the importance of having an online presence, but also the importance of having a professional website for consumers to discover. This entry was posted in Blog and tagged Catskill, Catskill Marketing, design, marketing, New York, photography, video, webpage, website, Website Design.